The translocation of the globally Endangered Laysan Duck to the remote Kure Atoll State Wildlife Sanctuary in Papahānaumokuākea Marine National Monument appears to be a success. Staff from the State of Hawaii, DLNR Division of Forestry and Wildlife (DOFAW) report that 19 new downy ducklings emerged over the past week. Successful breeding is a crucial milestone for population establishment at Kure Atoll. Laysan Duck once occurred across the entire Hawaiian Archipelago, but became restricted to Laysan Island, also in the Northwestern Hawaiian Islands, for about 150 years. 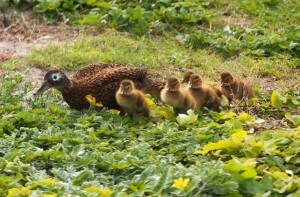 The island ducks were successfully reintroduced to Midway Atoll National Wildlife Refuge in 2004. 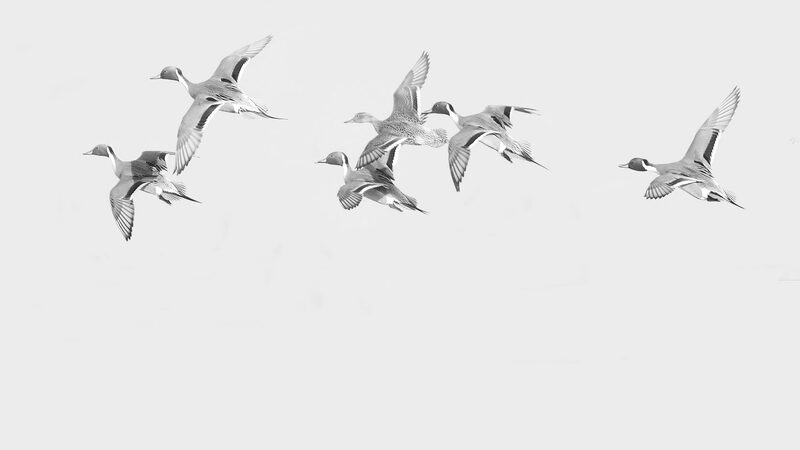 Last September, 28 young wild birds were brought from Midway to Kure by ship, and released. Kure Atoll State Wildlife Sanctuary Manager Cynthia Vanderlip said: “We documented that all 28 founder birds translocated to Kure in the fall of 2014 had survived six months after their translocation and release. Everyone working on this project to help save an endangered species is thrilled that this reintroduction may reduce extinction risk of this rare Hawaiian endemic duck. We all feel like proud parents”. The translocation project was a joint effort by DLNR/DOFAW, the U.S. Fish and Wildlife Service (USFWS) National Wildlife Refuge System, the U.S. Geological Survey (USGS), Hawaii Wildlife Center, Kure Atoll Conservancy and Papahānaumokuākea Marine National Monument, which is co-managed by the National Oceanographic & Atmospheric Administration (NOAA), USFWS, and the State of Hawaii (DLNR). Transportation of the Laysan Ducks, equipment and biologists between the remote islands was aided by the U.S. Coast Guard. To prepare Kure Atoll for the ducks, DLNR field staff replaced weeds with planted native plants and removed invasive species such as predatory rats and ants, created wetlands and restored native habitat. The endangered Laysan Duck is the rarest duck in the northern hemisphere and has the smallest geographic range of any duck species in the world. “Laysan Ducks do not fly between Atolls, so each additional island reintroduction helps to restore its distribution and the biodiversity of Hawaii” explained Dr. Michelle Reynolds of the USGS. Papahānaumokuākea is cooperatively managed to ensure ecological integrity and achieve strong, long-term protection and perpetuation of Northwestern Hawaiian Island ecosystems, native Hawaiian culture, and heritage resources for current and future generations. Three co-trustees – the Department of Commerce, Department of the Interior, and State of Hawai‘i – joined by the Office of Hawaiian Affairs, protect this special place. Papahānaumokuākea Marine National Monument was inscribed as the first mixed (natural and cultural) UNESCO World Heritage Site in the United States in July 2010. Thanks to Michelle Reynolds for the information in this post.